If you’ve never tried Malort, I don’t know how to recommend it to you. On one hand, if you’ve never had it, you’re missing out on something authentically Chicago. On the other hand, it’s disgusting. It’s a liquor that’s a Chicago tradition, as robust and unique as it is nasty. When I first moved to Chicago and didn’t really know anyone, my friends Coyote and Brandon decided they were going to adopt me and show me what this town was all about. High on their list of priorities was introducing me to Malort. This piece is a guide for the uninitiated, and tells the story of my friends’ fond obsession with this two-fisted liquor. 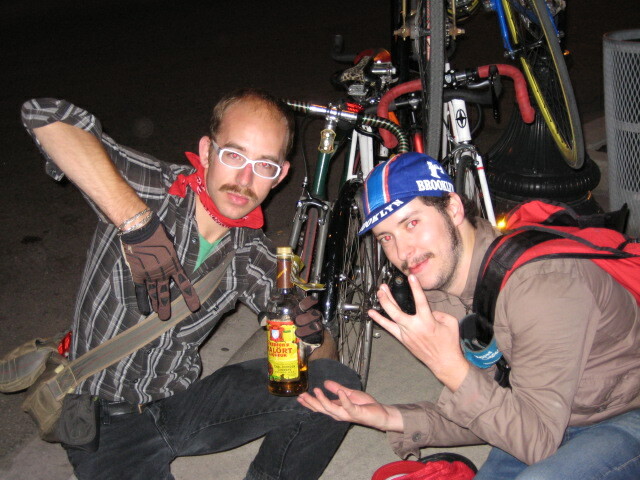 Photo: Coyote and Skidmore flash the sign for “Midwest” while brandishing a bottle of Malort. Yup. I think this picture about sums it up.